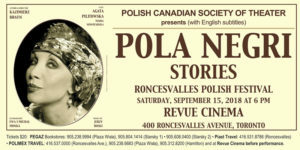 Roncesvalles Polish Festival 2018 located along Toronto’s beautiful Roncesvalles Ave. has continuous live music on multiple stages including Polka and Euro Dance Bands, Polish folklore song and dance groups, Saturdays night’s Dance Under The Stars. Discover the treasures along the 18 blocks of boutique shops, merchants and restaurants including: side walk sale’s, over 40 local restaurants / cafes / bakeries / bistros offering sample plates, expanded street patio’s at our restaurants and bars. Visit our two Beverage Gardens located at the Main and Polkamania Stages. We also have Polish and international food vendors, buskers, entertainers, family zones, amusement rides, art zone, 3 Stages (Main Stage, Scotiabank Polkamania Stage, and Copernicus Stage) and so much more you’ll have to come for both days! Canadian Olympian, Alex Kopacz, is our special guest and co-MC for the Opening Ceremonies. 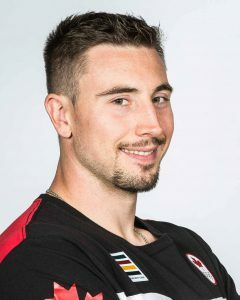 In his Olympic debut at PyeongChang 2018, Alex Kopacz won gold in the two-man bobsleigh event with pilot Justin Kripps. Roncesvalles Polish Festival is fun for all! Added this year, join our Friday night Polish Festival Launch Parties! Dance the night away with Impres. Join us at Lithuanian House. Inducted into the Polka Hall Of Fame, these three leads and their bands will keep you dancing. Don’t miss Lenny Gomulka & Chicago Push, Ed Guca & The Polish Canadians, and John Góra & Górale. Join us at St. Casmir’s Church Hall. See more information at Eventbrite or Facebook. Below are just some of the highlights you can plan to see! 9:30PM - 11:00PM IMPULS - Dance Under The Stars! Taking place all day long, our local Boutique shops, Merchants, Restaurants and Bars, are excited to welcome you to the neighbourhood. Without their support this great festival could not happen. Discover the many businesses that make Roncesvalles Village such a great place to shop! You can expect to see our local shops and merchants with side walk sales and street front displays, over 40 local restaurants, cafes, bakeries, and bistros offering sample plates, along with expanded street patio’s. Come out and enjoy Canada's largest outdoor Polka Party with the ever-popular "Dance Under The Stars". 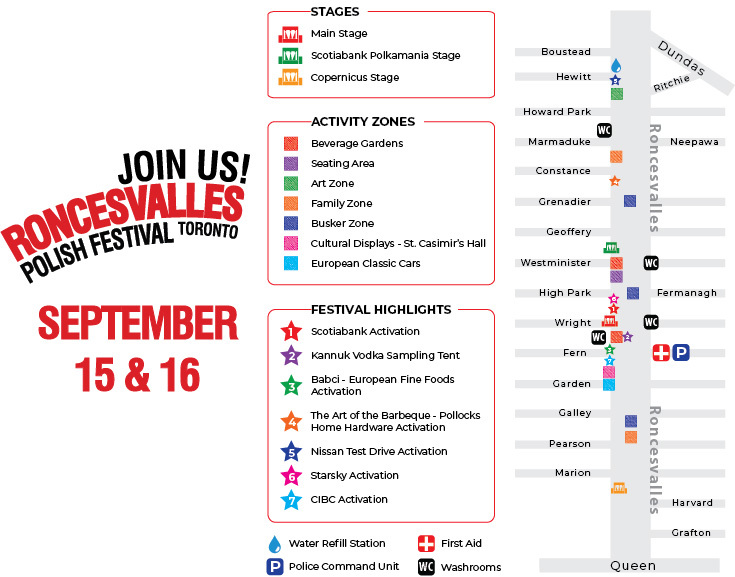 Watch from the sidelines or better yet join the fun as we turn Roncesvalles Avenue into a Polka dance floor for all! Canada’s Role in the Rebirth of Poland: Niagara-on-the-Lake, 1917-1919. Located at 203 Roncesvalles Ave. Sample Kannuk Vodka, and find out what a excellent small batch Canadian made vodka is. The Official Airline of the Roncesvalles Polish Festival. Visit their booth and enter for a chance to win a trip for two to Poland. The Official Polish Pickle providers to the festival and the originators of the now famous ‘Pickle on a Stick’. Back this year with their delicious ‘Babci’ brands!. Speak to the experts, and find the BBQ you have been dreaming about. Take a ride in a brand new Nissan! Brought to you by High Park Nissan. Come and get your free souvenir photo at our fun green-screen photo booth which you can also email to friends and families here and back home. Enjoy Refined BBQ on Barque’s extended patio. 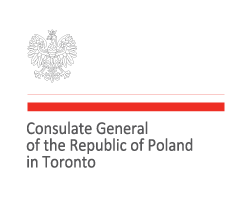 Presented with support from the Consulate General for the Republic of Poland in Toronto. For Kids of all ages! Amusement rides and so much more, bring the whole family and share a smile. We have Midway rides, and Carnival games. Located in multiple spots along Roncesvalles Avenue, taking place all day long, come out an see some local entertainers preform and amuse you! See a beautiful collection of Classic European cars. Located at Garden Avenue. Vendors with unique items as well as Food Vendors serving Polish and international cuisine located along Roncesvalles Avenue. Serving Zywiec Beer, Nalewka Babuni Cherry, and Kannuk vodka. Two locations, at Main Stage, and Polkamania Stage, open during the entirety of the festival, a great spot to meet up with friends and say “Na Zdrowie” (Polish for cheers!) as you enjoy a beverage; listening to music, seeing stage performances!